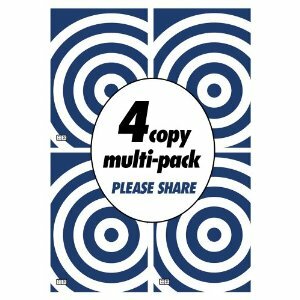 Coming as a 4-pack of spiral bound books which are designed to be written in and shared, Pick Four is an updated version of Zig Ziglar’s legendary goal-setting program, The Performance Planner. Updated, simplified and introduced by Seth Godin, Pick Four, is designed to help anyone achieve his or her goals. This edition includes four copies of Pick Four, ideal for sharing with friends or stretching your goals out over the year. Using Ziglar’s philosophy that the key to success is directed action, this book challenges the reader to reach outside his or her comfort zone and take the necessary steps to achieve success. Known for his genuine and authentic approach, Ziglar imparts decade’s worth of strategies. Pick Four is an important tool for anyone looking to create positive change; guaranteed to put you on your path to success.